Before I understood the benefits of a detox I stayed far away. There was no way I was going to starve myself, live on only water or juice all day – not for me! Yet, after studying health and nutrition over the last few years, and dealing with my own health issues with food allergies and intolerances, I now see the importance of a detox. And, it’s not what I thought at all! In short, a detox is not scary. In reality, it’s necessary in today’s world. 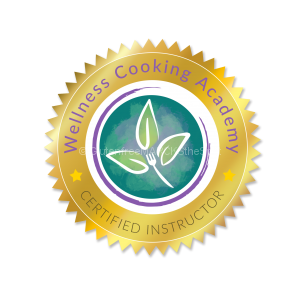 There are many ways and levels in which a person can detox, from a gentle detox to a big heavy metal detox best followed with a functional medicine doctor. Any way you look at it, a detox is taking a break to reboot your body, mind, spirit or life. A detox takes something out of your everyday life for as little as three days to a month or more. Then, you slowly reintroduce back what you took out, paying close attention to your body and mind to see how you react, if at all. Take a minute to stop and look around at how we live each and every day. We are surrounded by toxins that are wreaking havoc on our bodies, some of which we can control and some that are just out of our hands. The truth is that we are bombarded with toxins every single day. At www.laraadler.com, she shares that 84,000 chemicals are registered for use in the US and only 200 have been assessed for safety. And, now there is the average of 232 toxins found in umbilical cord blood. That is news to make us get up and change the way we are living. Today, I do not think that a detox is scary anymore. I think it is imperative that we follow a detox to the best of our ability at least once or twice a year. Following a detox can bring you new health awareness. Most people go through their days, devouring whatever they feel like, not giving food much thought. 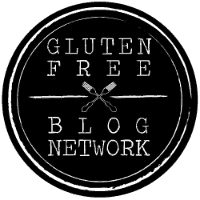 Of course, most of you reading this (on my site Gluten-Free MARCKS The Spot) are probably following a gluten-free diet and do think about every bite you take. Maybe still gluten-free, but possibly not always a healthy choice, right? 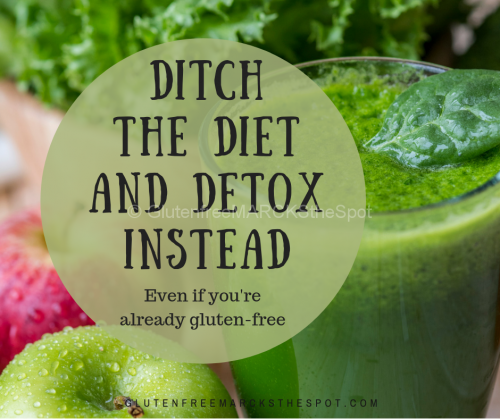 Even being gluten-free, one should still complete a detox. Yes, you have taken out gluten which is toxic to our bodies, especially if you have Celiac Disease or gluten-intolerance. Yet, even on a GF diet, you’re most likely consuming other toxins within the foods you’re still eating, as well as have environmental toxins around. A detox can help you become mindful. Following a detox helps you clearly think about all the food you eat. It can bring awareness of how you’ve been eating and the habits you’ve formed over the years – good or bad. But overall, it allows you to really stop and think about your food consumption, and become mindful of your choices moving forward. 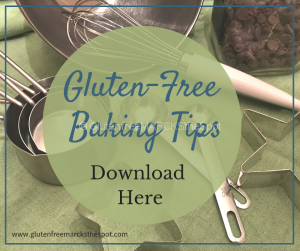 Following a detox can also pinpoint other allergies or intolerances you may not have been aware of previously, even if you are already gluten-free. Eliminating certain foods for a period of time, then slowly re-introducing them, is key to see how you feel. This helps show which foods may be causing issues and need to be cut out for a while to benefit your health. Following a detox can create new healthier habits. Incorporating new things you try on a detox into your every day life can help create healthier habits; more cooking at home, healthier eating, more exercise, or more self-care practices. Think about your lifestyle, your habits and the foods you eat each day. Do you need to stop and reboot? Stop the dieting and worrying about which one will work for you. Try a detox and make lasting habits to create your healthy lifestyle. 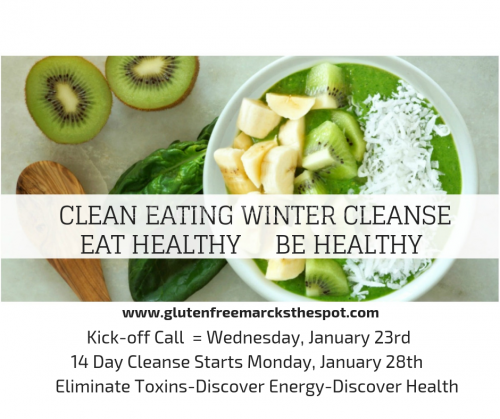 This entry was posted in Gluten Free Living and tagged Clean Eating Cleanse, detox. Bookmark the permalink.